Vitamin A is incredibly beneficial for the body. It’s nutrient-rich, can help improve your immune system, keep your vision intact as you age, prevent eye inflammation, and promote healthy and smooth skin. The average adult should consume, on average, 5,000 IU of vitamin A each day. Keep in mind that vitamins shouldn’t always be associated with supplements—healthy, natural food should be your primary source of vitamin A. 1. Iceberg lettuce: In most diets, dark green leafy vegetables get all the love—but lighter green iceberg lettuce is packed with vitamin A. One great way to incorporate iceberg lettuce into your meal is to add it to your salad or in a sandwich. You shouldn’t be worried about the calorie intake—one cup of iceberg lettuce only contains 10 calories; it is also packed with vitamins and minerals. Aim to include at least one cup of shredded iceberg lettuce into your diet each day—this works out to 361 IU. 2. 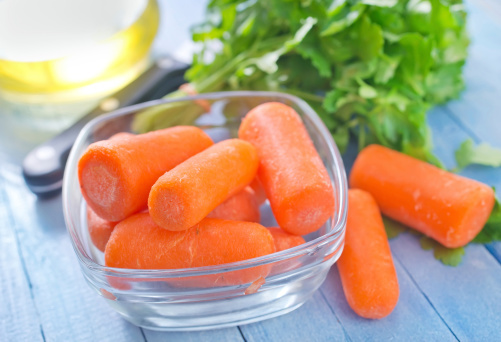 Carrots: Carrots are packed with vitamin A—they make for the perfect food to help you reach your recommended daily intake. One medium carrot has 10,191 IU of vitamin A, which accounts for a little more than 200% of an individual’s recommended daily intake of vitamin A; carrots are also great sources of vitamins C, K, and B. Your daily serving should be about one medium carrot. 3. Spinach: Now I know why Popeye loved spinach so much. 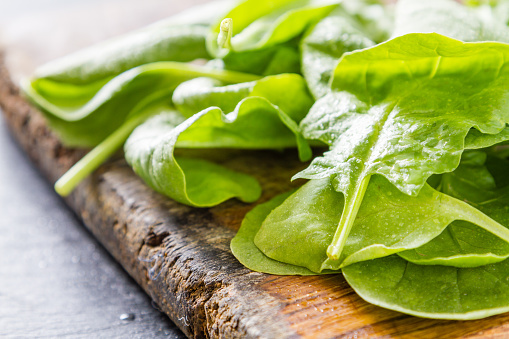 By consuming one cup of spinach, you will get about 2,464 IU of vitamin A—that’s 49% of the daily recommended value! Spinach is also rich in vitamin C, iron, and calcium. 4. 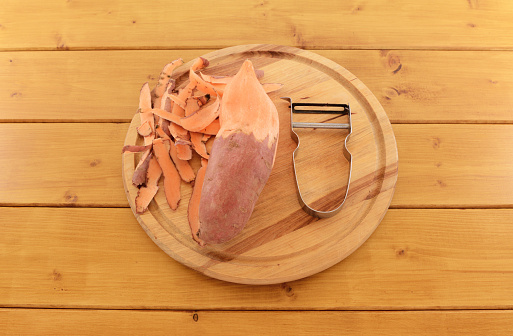 Sweet potato:Sweet potatoes are vitamin A powerhouses. One medium sweet potato contains 103 calories and will provide you with 21,909 IU of vitamin A—a staggering 438% of your recommended daily intake! 5. Red bell pepper: You may not get as much vitamin A from red bell pepper—100 grams will provide you with about 2,941 IU. However, red bell peppers are a delicious, sweet way to consume vitamin A and boost the flavor in your meals. Char them on the barbeque, stuff them, or add them to your soup or salad. 6. Paprika: One tablespoon of paprika will provide you with 3,448 IU of vitamin A—about 69% of your recommended daily intake. Paprika is best used when mixed into your meals. The red spice goes great with rice or salad. 7. Whole milk:Whole milk is packed with vitamins D and A, and is an excellent source of calcium. One cup a day will provide you with 395 IU of your recommended daily intake. 8. Kale: This common garnish is not only delicious, but can help you meet your daily vitamin A intake. One cup of kale gives you 10,302 IU of vitamin A, which works out to over 200% of your recommended daily intake. 9. Cantaloupe: One medium-sized wedge of cantaloupe will provide you with 5,986 IU of vitamin A—along with a refreshing taste that will surely boost your energy. 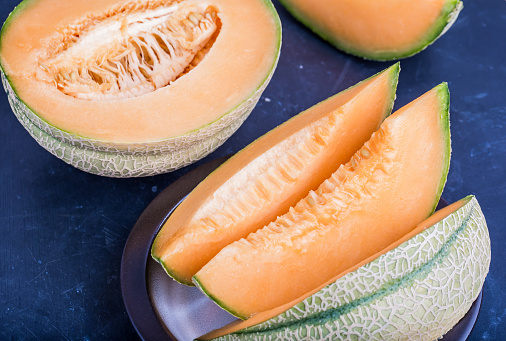 Cantaloupe is a delicious, low-calorie, high-nutrient fruit to consume. 10. Dried basil: The recommended intake for dried basil is 100 grams (744 IU of vitamin A)—you don’t have to take it all at once. Spread it out throughout the day with your meals. It’s an easy way to boost your vitamin A levels. 11. 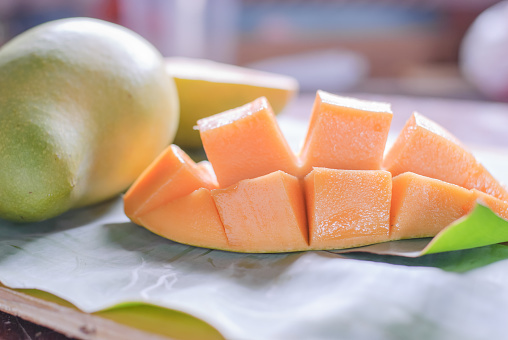 Mangoes: If you have a sweet tooth, you’ll want to try this delicious fruit. It’s packed with nutrients and is a great source of vitamin A. Your daily serving should consist of one cup, which provides you with 1,785 IU of vitamin A, this works out to about 36% of your recommended daily intake. 12. Mustard greens: Eat them raw or boil them—either way, mustard greens will provide you with loads of flavor and nutrients. One cup of chopped mustard greens will provide you with 118% (5,880 IU) of your recommended daily intake of vitamin A. 13. Tomatoes:Tomatoes are low in calories, but high in vitamins and minerals. You can receive 20% (1,025 IU) of your recommended daily intake of vitamin A with one medium tomato. 14. 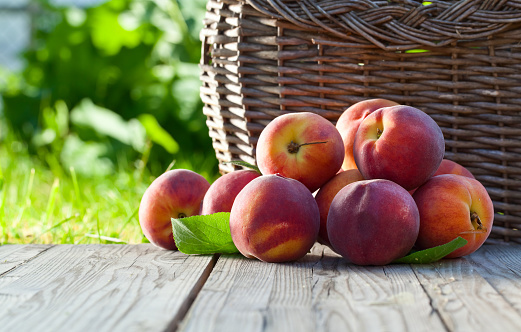 Peaches: Peaches are rich in vitamin C, potassium, calcium, phosphorus, magnesium, iron, and vitamin A. One medium-sized peach will provide you with almost 10% (489 IU) of your recommended daily intake of vitamin A. 15. Papaya: This fruit is considered a powerhouse for your diet, because it’s rich in nutrients, antioxidants, minerals, and enzymes. You don’t need to consume high amounts of this tropical fruit; one small papaya will provide you with 29% (1,444 IU) of your recommended daily intake of vitamin A. • Did you know that vitamin A can be helpful in reducing the symptoms and pain associated with measles? When people are diagnosed with a viral infection, their blood levels are generally low, which means they cannot fight the virus. Vitamin A can provide a helpful boost to the immune system. • Dry, itchy eyes can be very uncomfortable. Vitamin A eye drops (beta-carotene) are very effective at lubricating dry eyes and helping to restore the moistness. • Vitamin A will help thicken the dermis (the second major layer of skin, where collagen and elastin are located); thickening the dermis will result in the reduction of the appearance of wrinkles. • Research shows that taking vitamin A (orally or topically) may help prevent or treat skin cancers. Healthy eating shouldn’t be seen as a chore—have fun with your food! Mix and match the vegetables used in your meals, and add vitamin-A rich spices to them. It’s best to consume the recommended daily amount of vitamin A—vitamin A “overload” could lead to minor health issues, such a vomiting, nausea, and some hair loss. Finally, if you have any questions, don’t hesitate to consult your doctor, dietitian, or nutritionist. They will provide you with practical advice and may even help you put together your own meal plans.